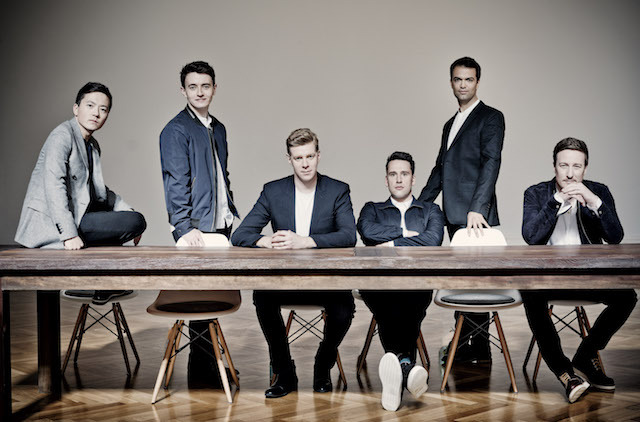 Early Music Vancouver (“EMV”) proudly presents one of the world’s preeminent vocal ensembles, The King’s Singers with their programme of Royal Blood: Music for Henry VIII, at the Chan Centre for the Performing Arts. The concert, which is part of The King’s Singers’ 50th Anniversary season and North American tour, investigates King Henry VIII’s life and legacy with compositions from his turbulent court in the early 16th century. Royal Blood will feature works by King Henry VIII, William Byrd, Thomas Weelkes, Henry Purcell, Benjamin Britten, and more. For their first-ever presentation by EMV, The King’s Singers will share an evening of mostly period music depicting life in Tudor England. King Henry VIII, renowned for his political acumen and celebrated for his intellect and love of music and the arts, presided over one of the most culturally rich courts of renaissance Europe. By delving into 16th and 17th century texts on the themes of death, health, and love, The King’s Singers will explore some of the drama that characterized life under the rule of one of England’s most intriguing and unpredictable monarchs. I have a pair of tickets to give away to this performance on February 9th. Follow Early Music Vancouver on Facebook, Twitter, and Instagram for more info. I will draw one winner at random from all entries at 8:00am on Thursday, February 7, 2019. UPDATE The winner is Cecile! I would very much love to see this! Interesting; they should have included more music by Henry the VIII. This would be very educational. Would love to win. Sounds like a great concert. I would love to see The King’s Singers. I asked my 9 year old if we should enter and she exclaimed ‘history and music together sounds great!’.